"Car vs. motorcycle," the grizzled, seen-it-all police dispatchers used to tell me when I'd call them about highway crashes at my old newspaper job. "I think you can guess who won." For obvious reasons, it was almost always the one with four wheels. But not today, and not in Clearwater, Florida. ABC Action News' traffic reporter and friend of Jalopnik Meredyth Censullo notified us of this crash where everyone — including the scooter rider — managed to escape without injury. 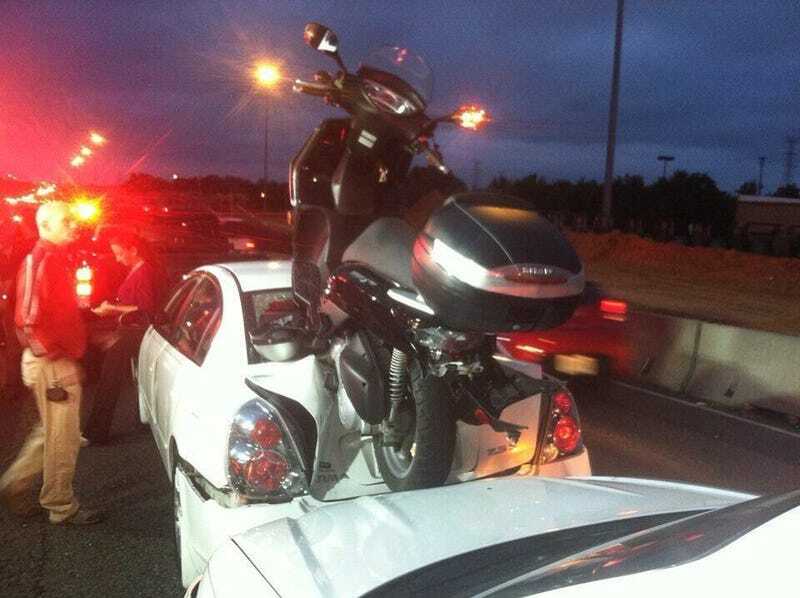 Somehow, the scooter ended up on top of and between the Nissan Altima and another car. Today, it's two wheels victorious.